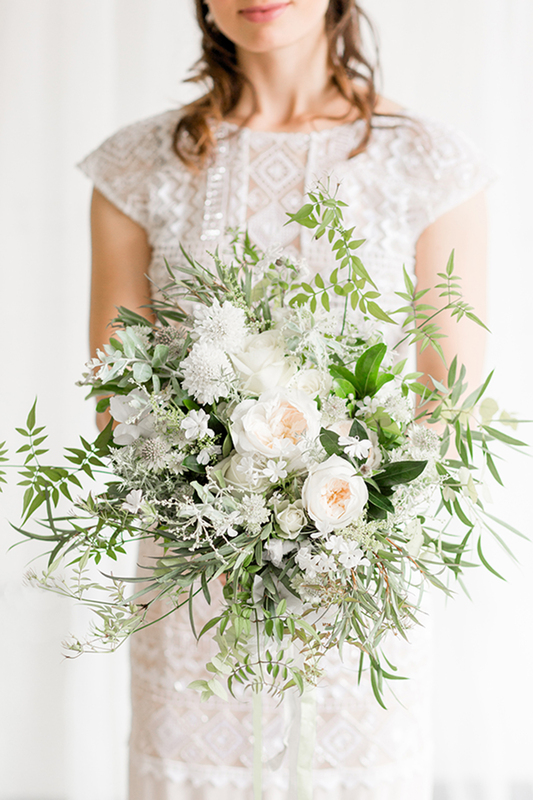 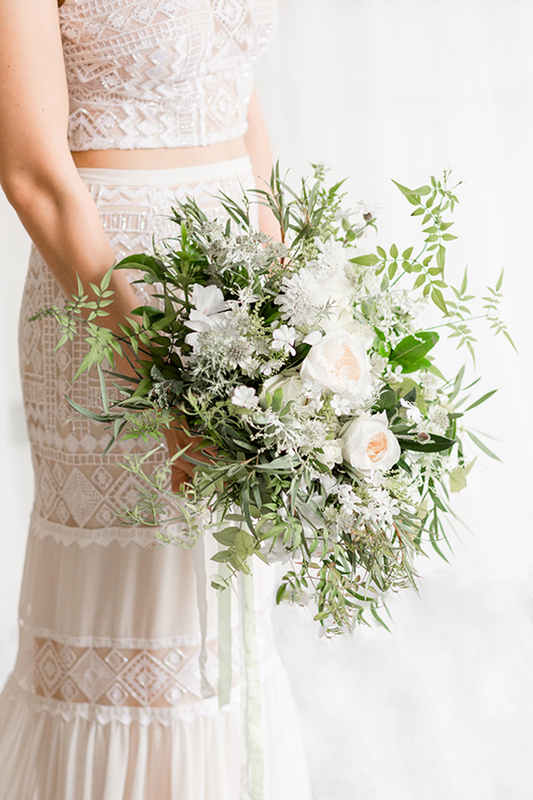 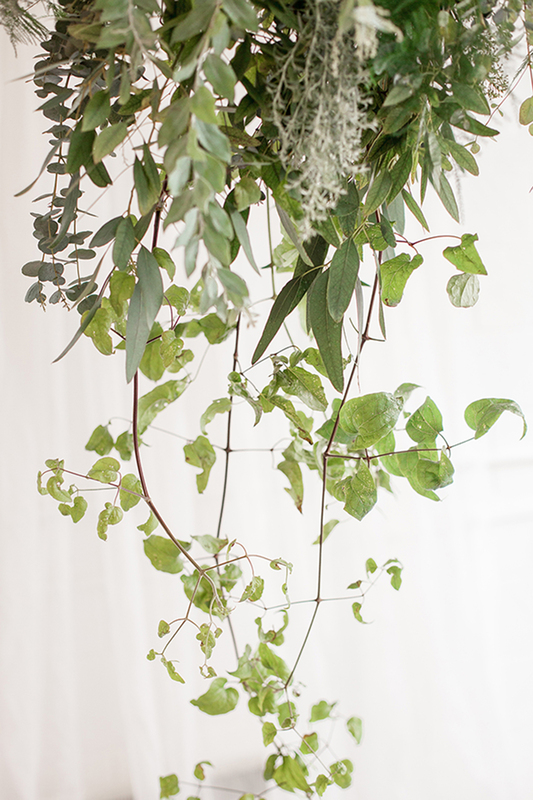 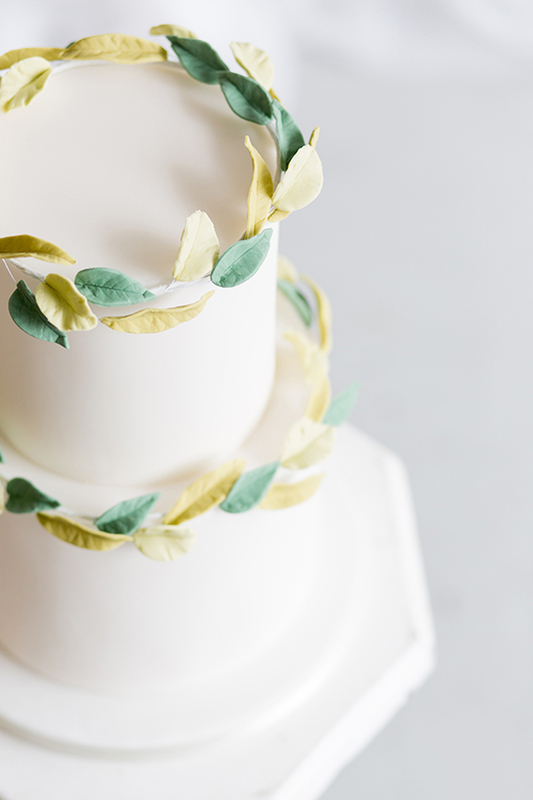 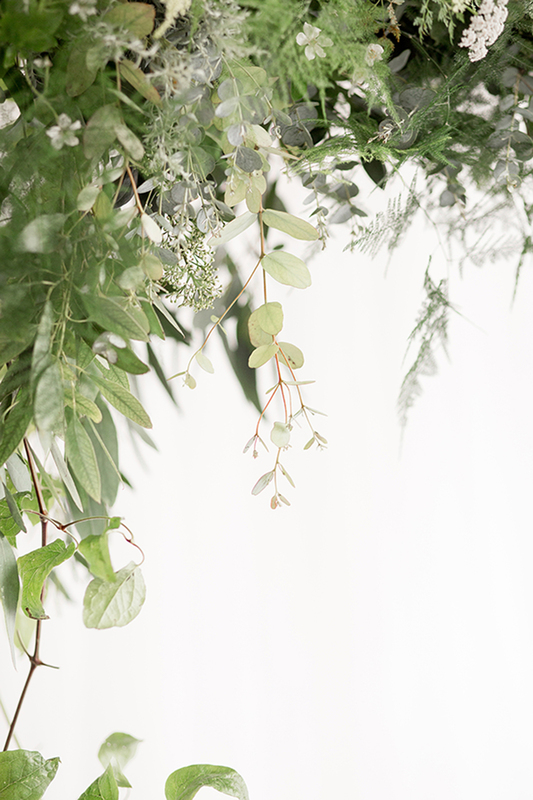 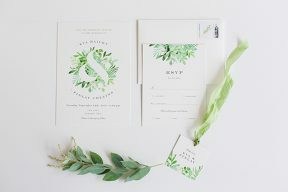 The fresh colour palette of white with lush greens is really on trend for 2018 weddings and I love how they achieved this with statement florals by Moss + Stone. 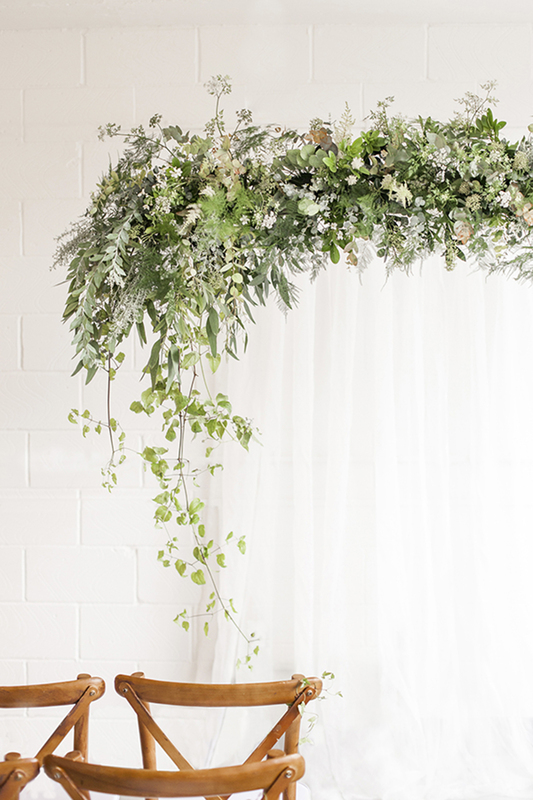 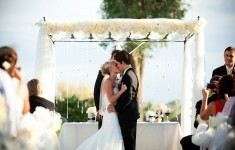 A spectacular ceremony space is made with an incredible floral installation framing a silk drape – simple and so chic. The flourishes of tendrils in different shapes and textures of greens makes it really interesting and suits the coveted fine art style too. 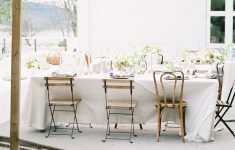 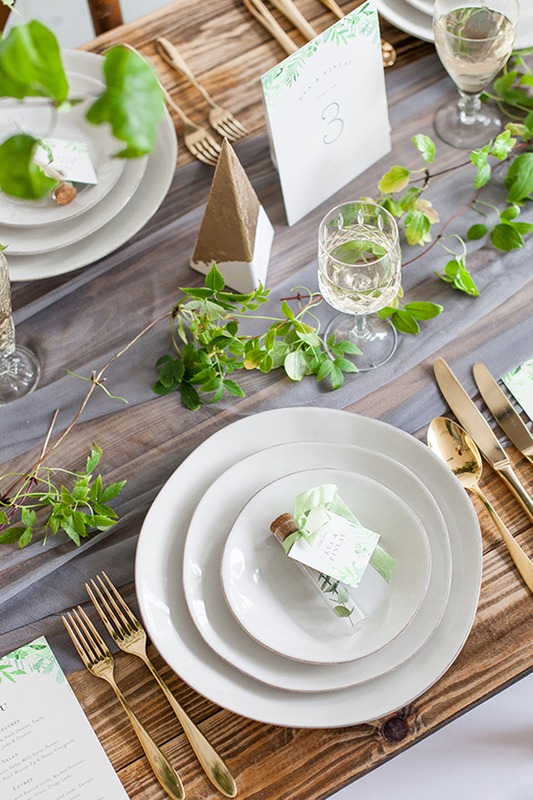 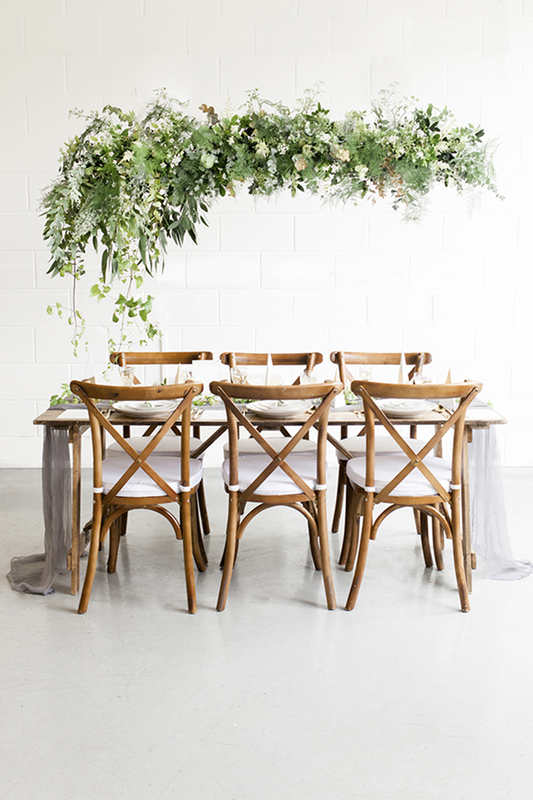 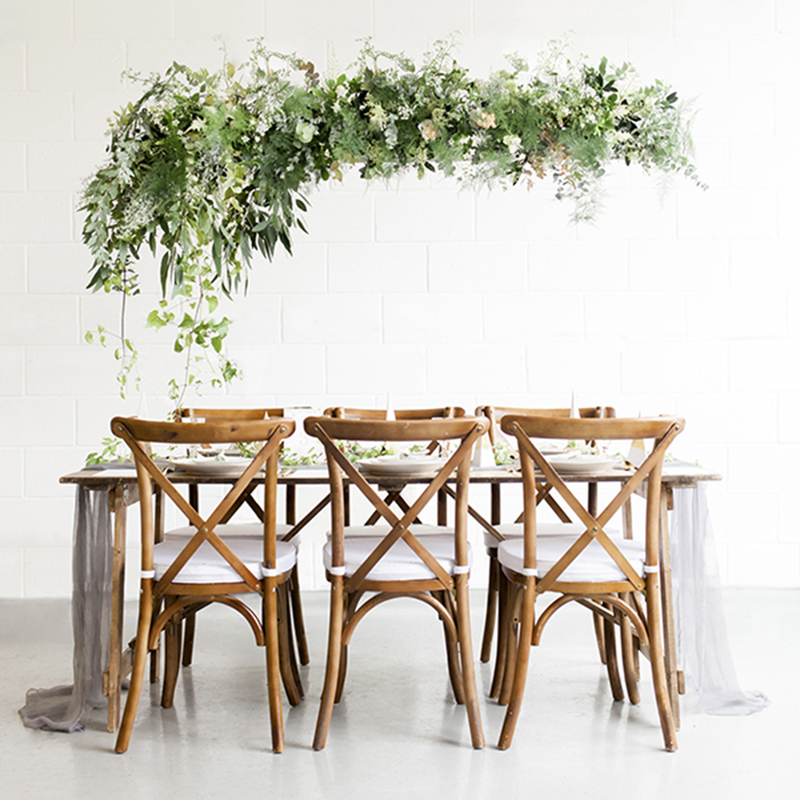 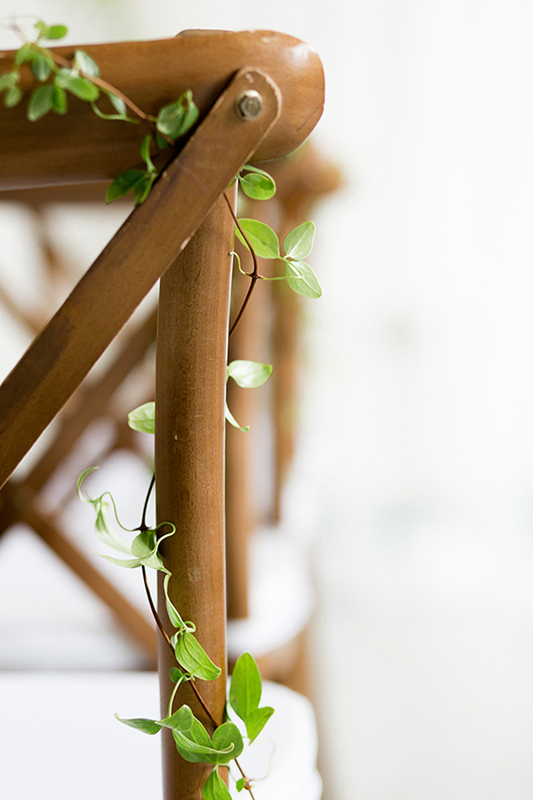 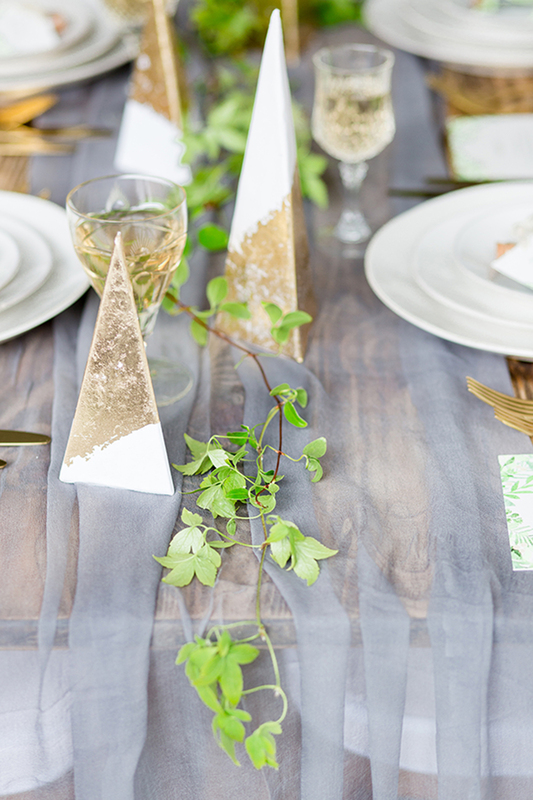 Adding little hints of greenery to a selection of chairs, and as a runner along the table, keeps this theme and colour running – and it’s such a simple touch that looks amazing! 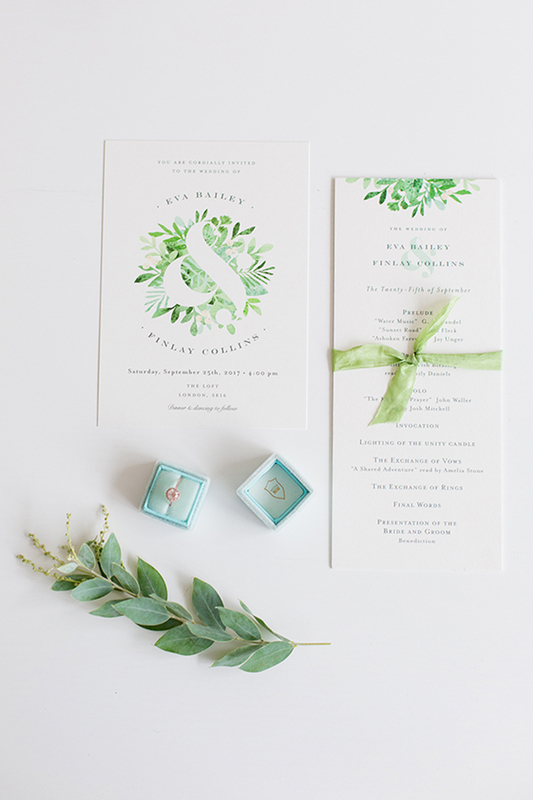 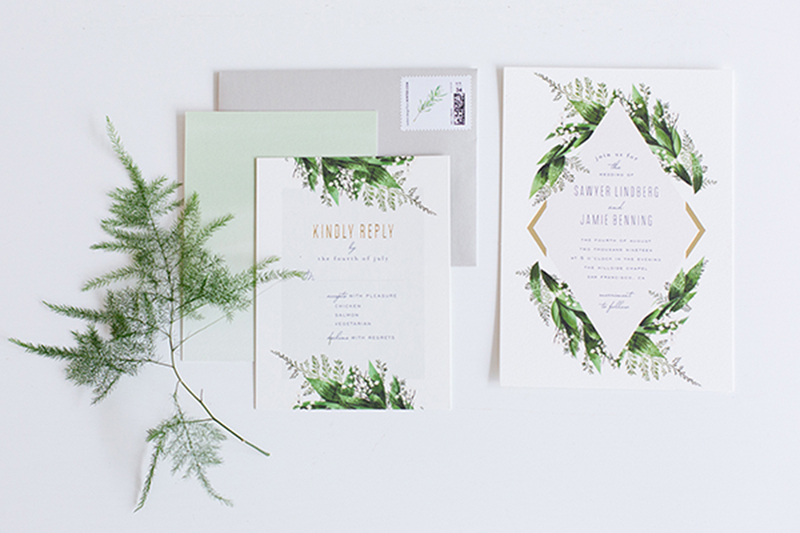 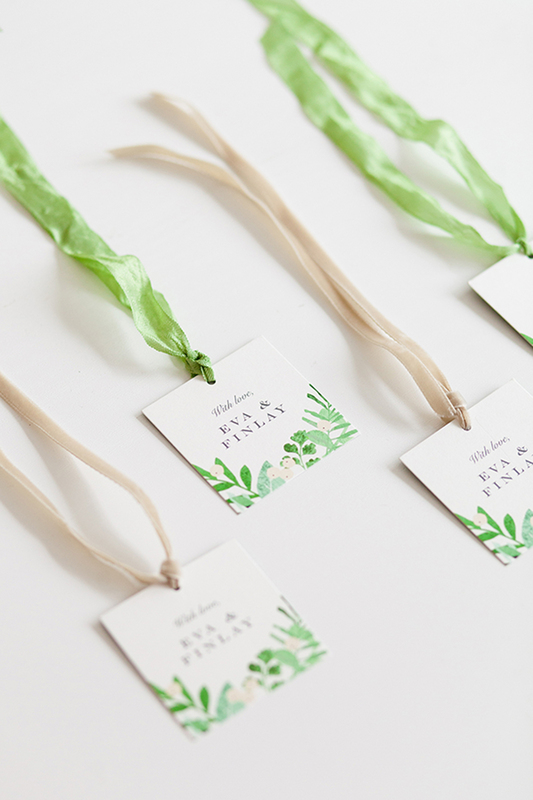 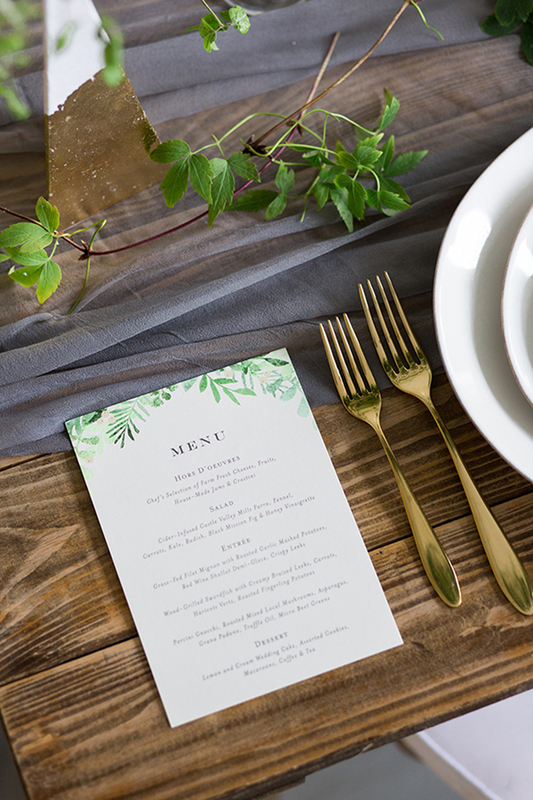 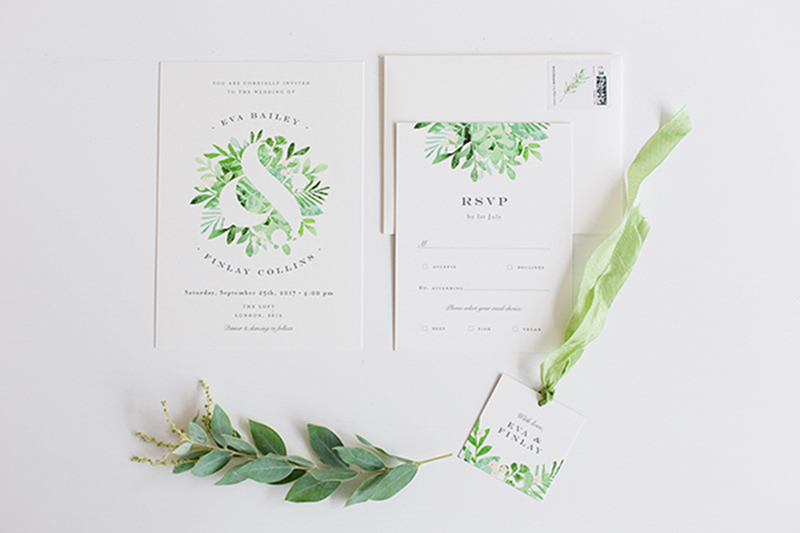 We love how the stationery suite designs include illustrations of the very same pieces such as wispy ferns and pretty eucalyptus. 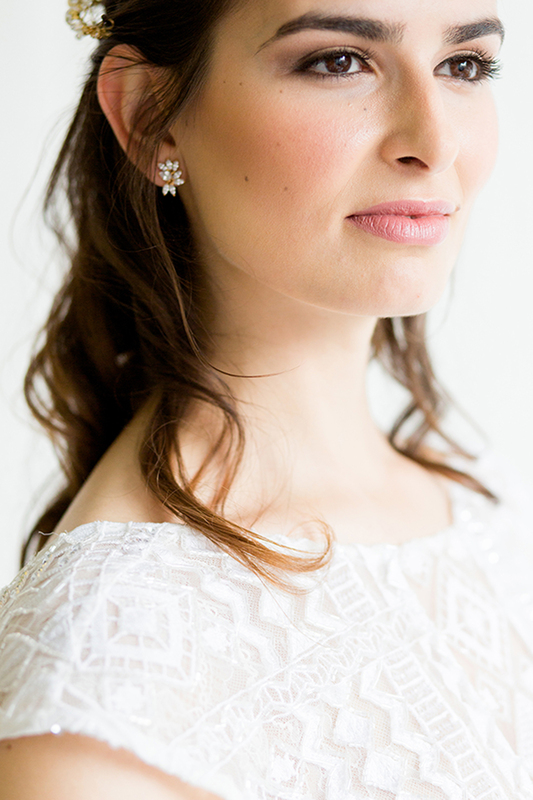 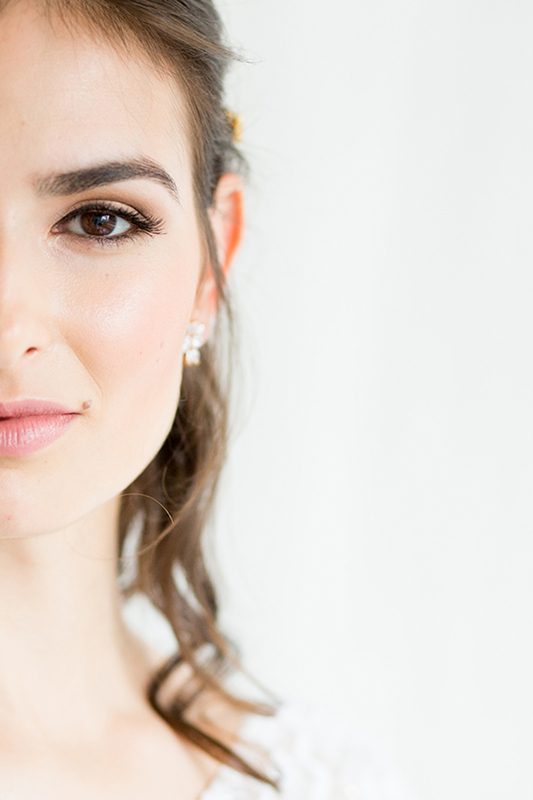 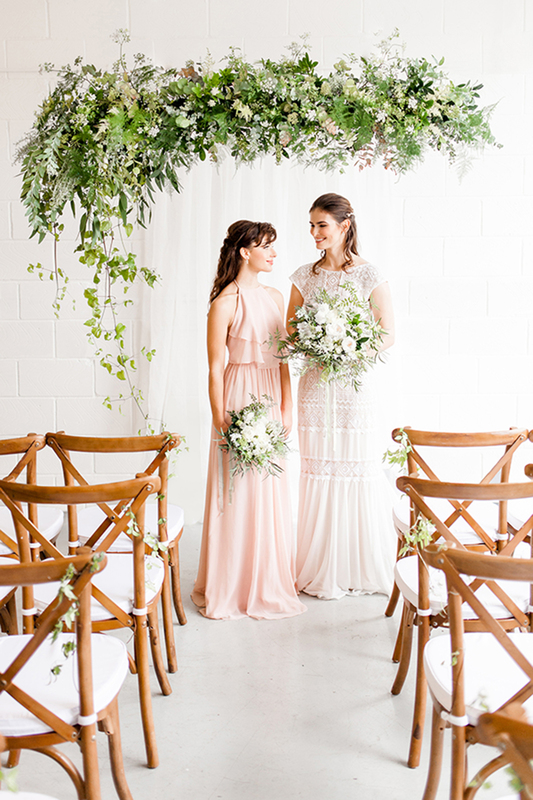 I adore both the Bridal and Bridesmaids dresses in this look! 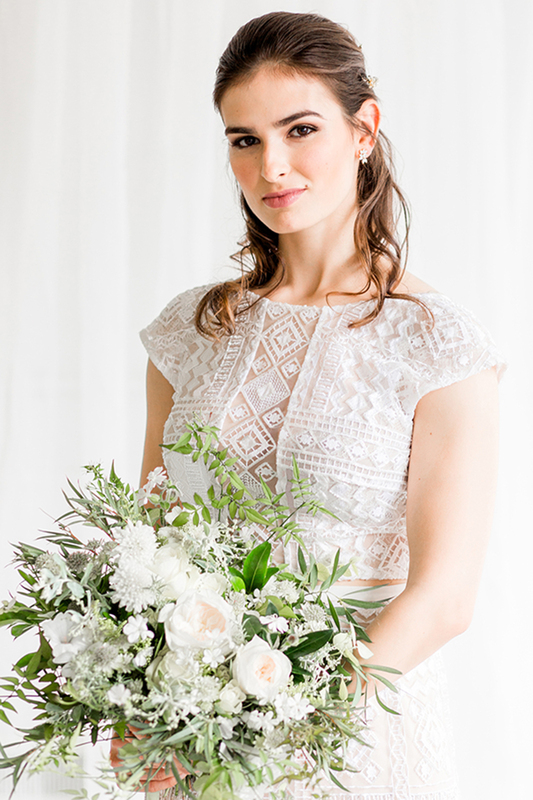 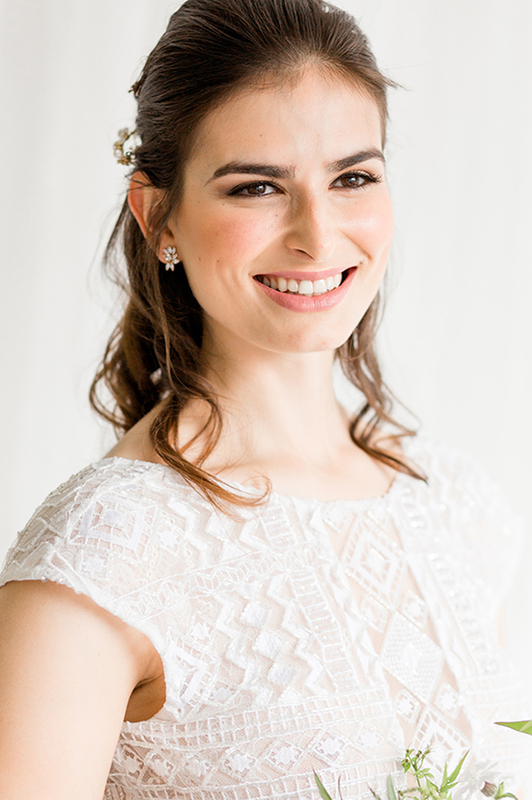 For the Bride, she wears this contemporary two piece, the Rosemary by Limor Rosen at Luella’s Bridal. 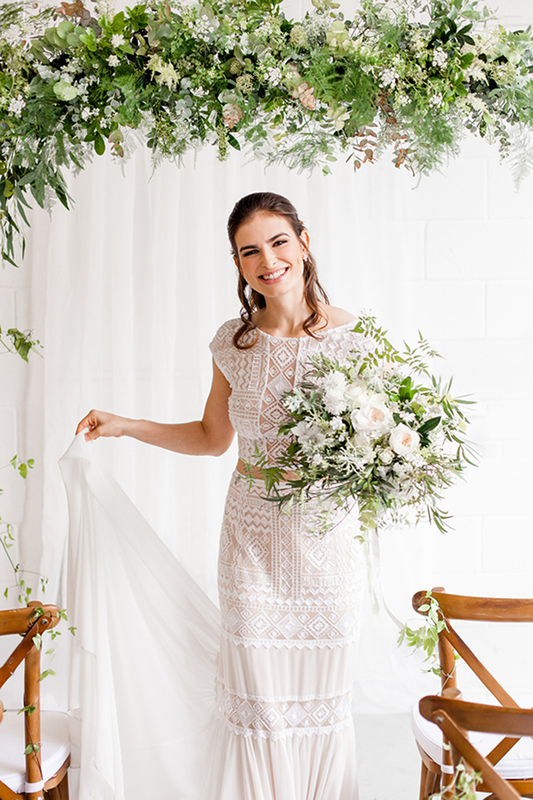 It’s the perfect statement for fashion forward Brides with an intricately embroidered pattern and silk chiffon skirt and train. 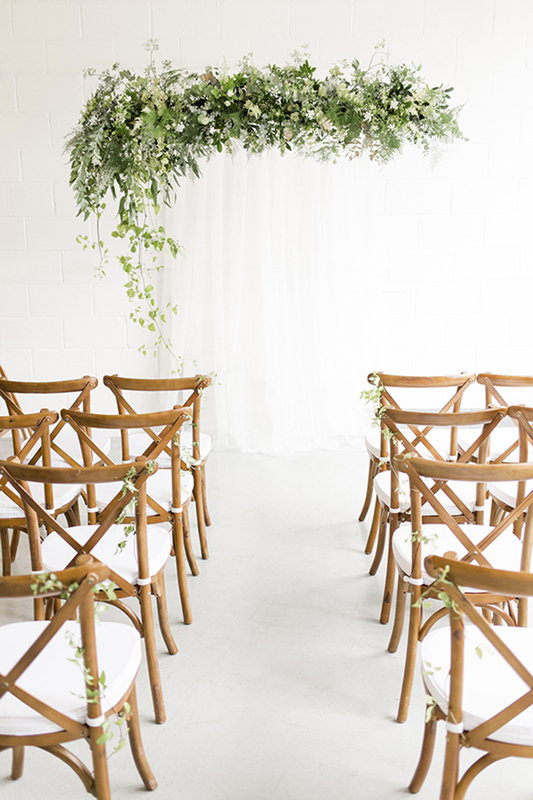 We’re completely swooning, and then you see the shoes! 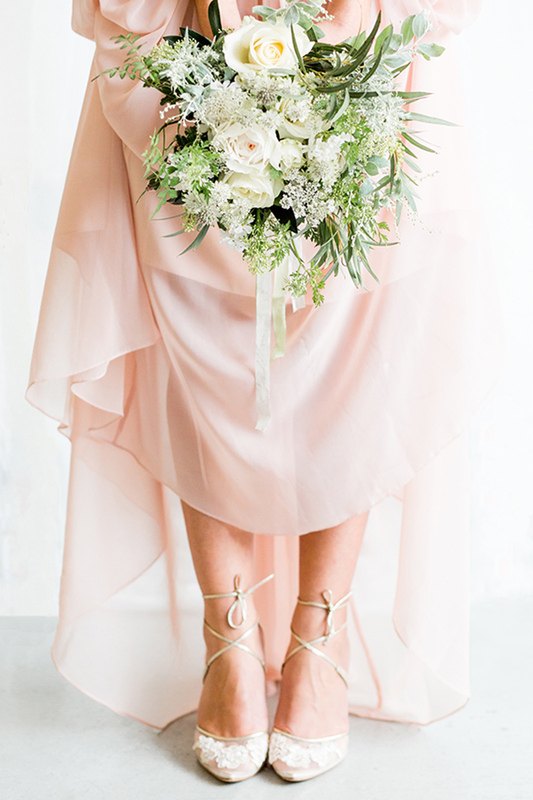 She wears my favourites, the beautiful flower and chiffon booties from Belle by Joy Proctor! 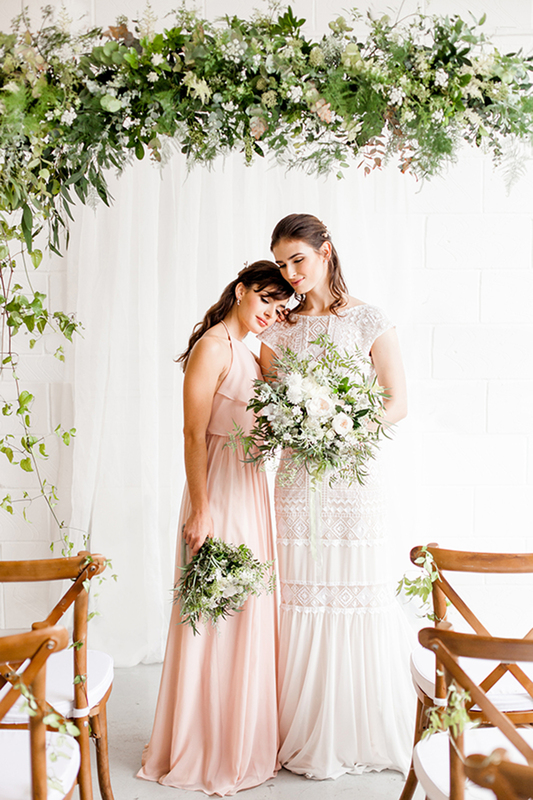 The Bridesmaid’s look is this sweet Olympia dress by TH&TH in the prettiest blush pink shade. 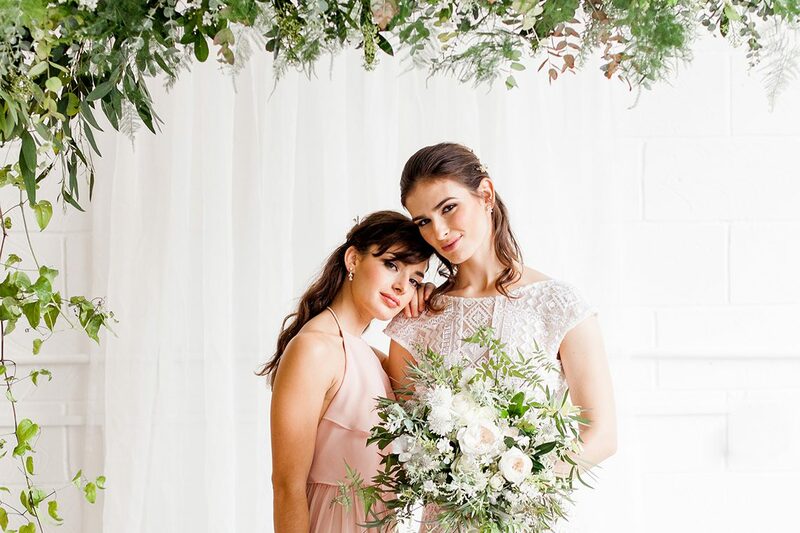 I just love this statement low back with tumbling loose curls and the beautiful Anita shoes by Bella Belle Shoes. 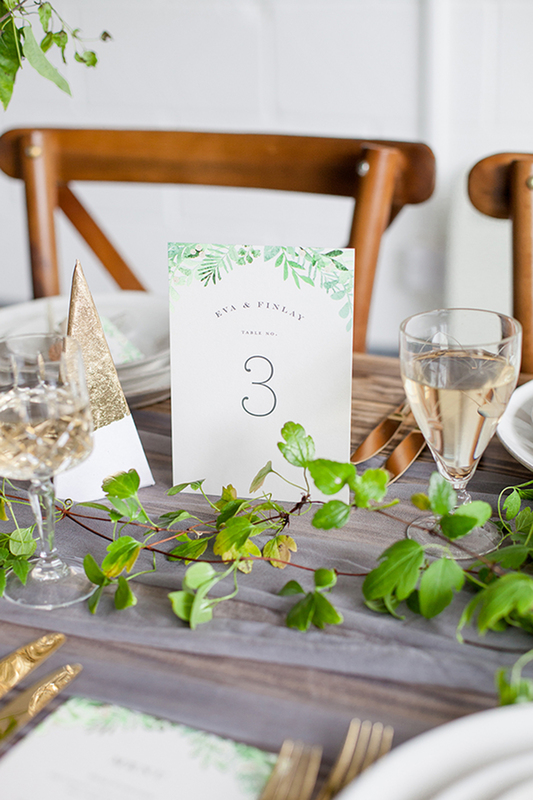 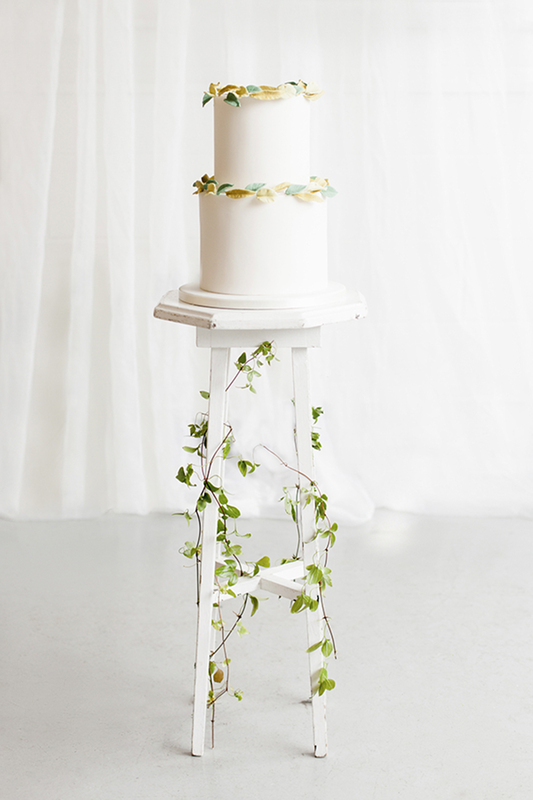 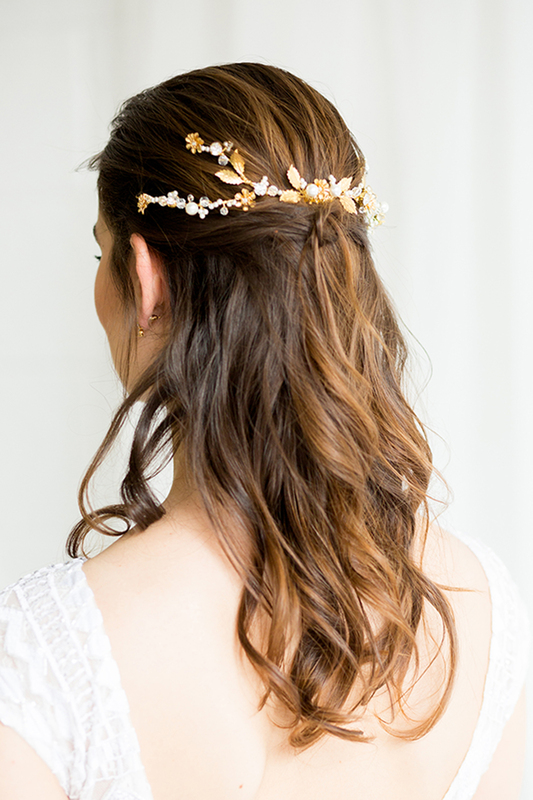 Elegant destination wedding inspiration with a neutral colour scheme with a hint of blue!